The Charming chi: Welcome to The Charming Chi Awards Ceremony! My new schedule at work has left me behind in a few things and one of them is passing on Blogger Awards. 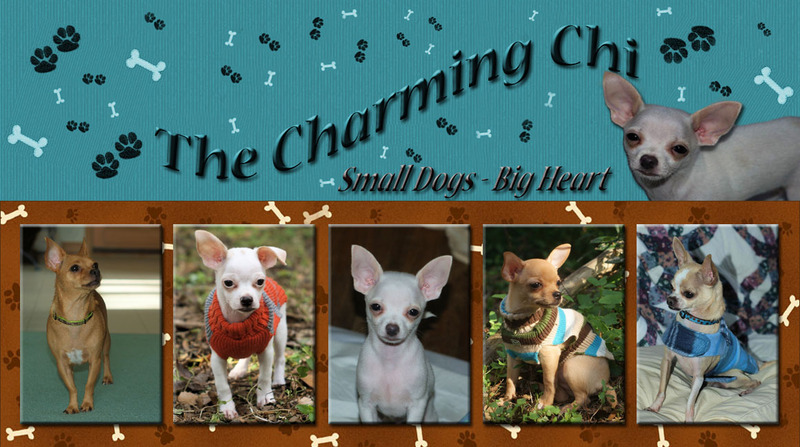 It has really been a wonderful surprise how encouraging and supportive other pet bloggers have been to my new venture here at The Charming chi. This blog has actually received a few awards over the past month and I really wanted to take the time to type up my acceptance speech and pass the awards along!! So I have a little extra bling on today for the occasion and a bit of chocolate so it feels more like a celebration! Of course I'm sure the Chis are busy making confetti while I'm away so they are certainly in the festive spirit of things too!! A Huge Huge Thank you to Patrice and Higgins from The Adventures of Higgins for the Pawsome Blogger Award and the Liebster Award. Patrice has been so wonderfully supportive of my efforts here and has been a great encouragement to me. <hugs> Thank you so much Patrice!!! And if you have stopped by her blog in awhile you really should because Higgins is a cutie with a larger than life personality and you are guaranteed a smile when you visit!! And Thank you so much to Mary, Roxy and Torrey from Roxy the Traveling Dog for awarding me the Pawsome Blogger award!! As a 'new' blogger it's easy to get discouraged or feel like no one is reading. The comments and support from great friends is just wonderful and so appreciated!! 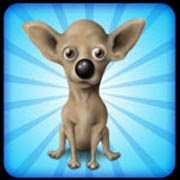 Be sure to check out the latest antics of an awesome dog at Roxy the Traveling Dog!! And now the moment we have all been waiting for!! As many of you know these awards are not for hoarders!! No way!! You have to pass them on and that is a huge part of the fun!! And so me and the Chis would like to award a Pawsome Blogger Award to the following 16 blogs!! And we would like to award a Liebster Blog Award to the following 5 blogs!! Congratulations and thank you for passing the Pawsome Blogger Award on to us! CONGRATS! So deserving you are! Thanks also for passing it on to me! I am humbled. Wow, thank you so very much, we are honored! However, please do not be offended if we don't pass the award along....we are seriously considering firing our secretary as she has not touched our blog in like forever! Do you know of anyone that's looking for a job? Congratulations on your award and thank you so much for my awards! Thanks for the pawsome blogger award! I will have to check out some of the other award winners and hopefully find some other pawsome blogs to check out!